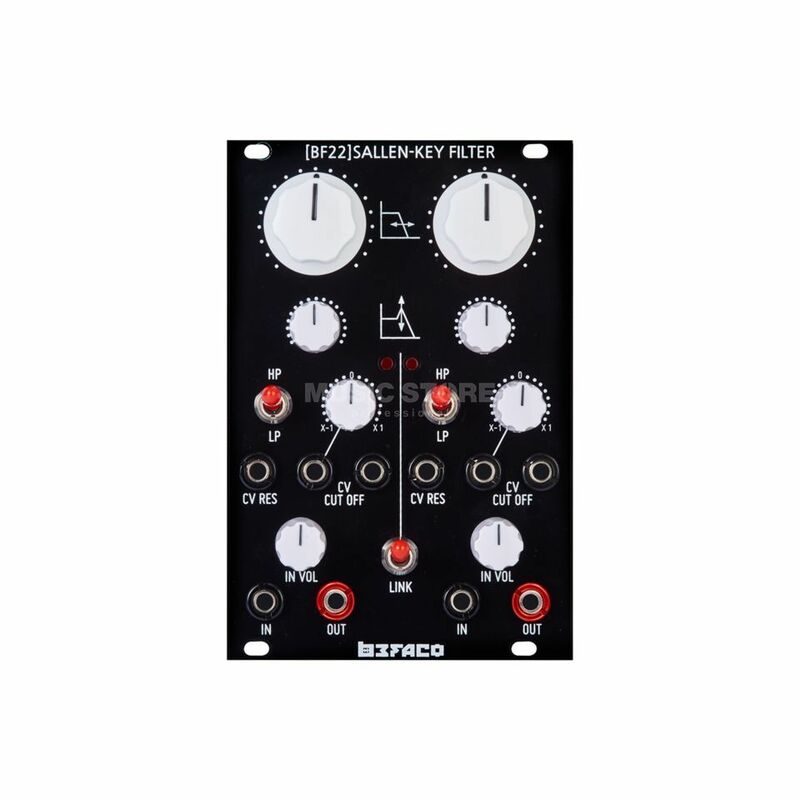 The Befaco BF-22 VCF is a filter module for modular synthesizers in Eurorack format. It is influenced by the filter of the Korg MS-20, which is based on the Sallen-Key principle. The module has 2x filter units that can be used individually or in series. The filter units operate either in 6 dB/octave high pass mode or 12 dB/octave low pass mode. In addition, the filter has attenuators (inverter attenuators) to complement the normal CV control for cut-off and resonance. The BF-22 VCF retains the characteristic background noise of the Korg MS-20, in order to more perfectly recreate the analogue feel of the original.